Did you know? Transport Canada’s Office of Boating Safety has made changes to how pleasure crafts are licensed. 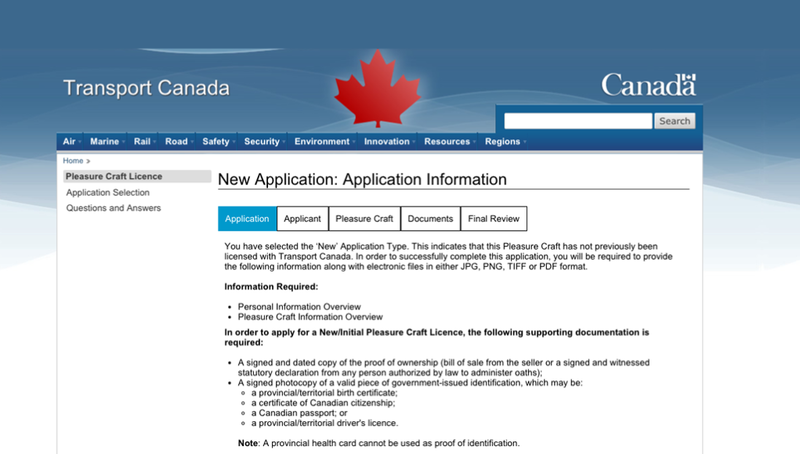 The new Pleasure Craft Electronic Licensing System allows owners to apply for a licence online. A pleasure craft licence allows search and rescue personnel and other agencies to quickly identify your boat in the event of an emergency. Electronically (the preferred method), or by Post. Electronically: Transport Canada, the Office of Boating Safety is offering the online Pleasure Craft Electronic Licensing System (PCELS) as the preferred and quickest method in applying for a pleasure craft licence. You can request the transfer of a Canadian licensed pleasure craft to your name. You can update your information (change of address; telephone number, contact information, as well as advise us of any changes made to your boat). You can request a duplicate copy of your pleasure craft licence. You can submit an application for the renewal of your pleasure craft licence. Click here for more information, or to apply for a licence online.